It’s a BIG continent, much bigger than people initially think, so when we’re asked – “Can’t we just catch a bus from Rio to Iguazu Falls?” – the answer is a resounding NO (It’s about 1,000 miles away!). Admittedly, in countries like Peru, the national coach service is surprisingly good, with reclining leather seats, on-board entertainment, and even free meals. That said, the journeys are often long, so unless there’s something interesting to look at out the window, or if you’re on a tight budget, most people see little appeal in sitting on a coach for 10 hours unnecessarily. Take in the best of the Andes without all the trekking! 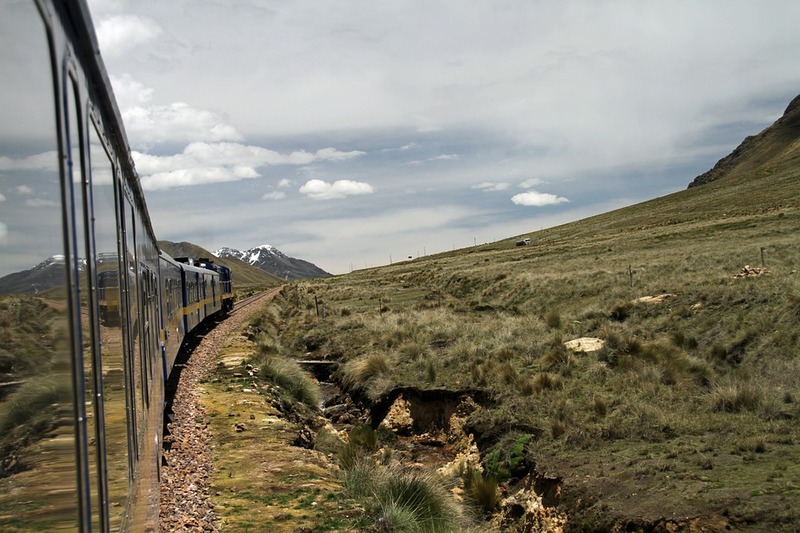 Peru Rail’s ‘Andean Explorer’ is probably one of the most famous luxury train rides in the world. It takes passengers on the 10 hour journey between Cusco and Lake Titicaca, in beautiful 1920s Pullman-style carriages. A gourmet 3-course lunch followed by afternoon tea is served on-board, and there are dining cars, a lounge, and an observation carriage at the rear as well. The train departs 4 times a week in both directions in peak season, but it’s a popular one so book in advance! Tip: As of May 2017, Belmond will also run an ‘Andean Explorer’ train, which will go all the way from Cusco, via Lake Titicaca and the Colca Canyon, to Arequipa over a few days, allowing you to sleep in one of the trains first-class cabins and enjoy guided tours and restaurant-quality meals along the way. Not one for the faint-hearted! At over 4,200 meters above sea level, the Tren a las Nubes, or Train to the Clouds, in northern Argentina is one of the highest railway journeys in the world. Although it was out of action for a few years, due to problems on the tracks, it’s now back on, and taking passengers on the 16-hour round trip every week. 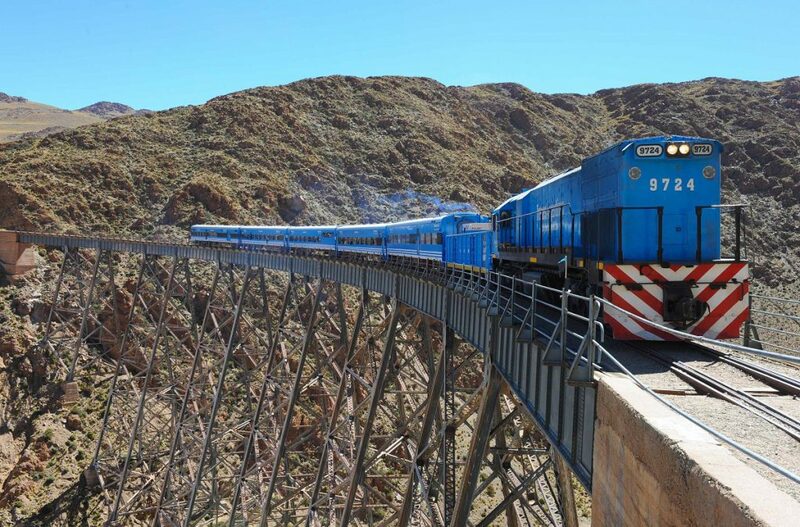 The train departs from Salta, and snakes its way across the Altiplano to the highest point, the impressive Polvorilla Viaduct, when passengers can stretch their legs and take photos, before returning to Salta via San Antonio de Los Cobres that evening. Tip: On a map, San Antonio de Los Cobres looks to be only a few hours’ drive from San Pedro de Atacama in Chile, but don’t be tempted to disembark here, as there are no public buses linking the towns. 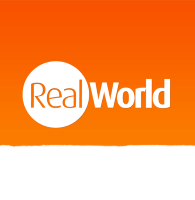 Any onward travel will have to be done via Salta anyway, so don’t miss the return train! 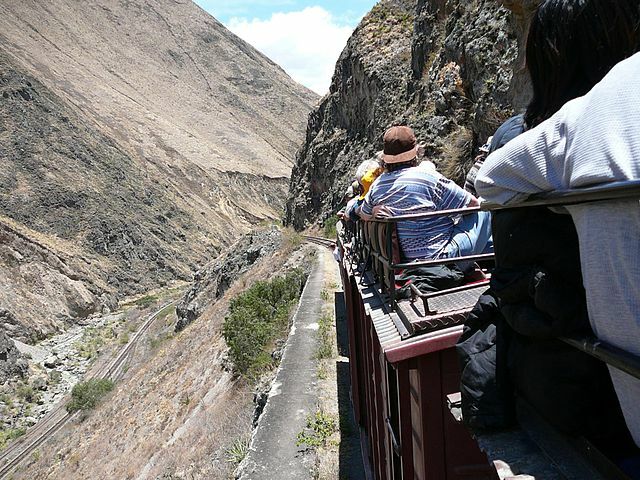 This daunting pass through the Andean Mountain range is often cited as the most dangerous train journey in the world, and rightly so! The Nariz del Diablo, or Devil’s Nose, is the most hair-raising section, which zigzags 6 miles down the side of a 450 metre high cliff-face. The ride is so steep that switchbacks are the only way to safely make the descent. Up until fairly recently, a steam train made the journey, and it was common for passengers to sit on the roof of their carriage! 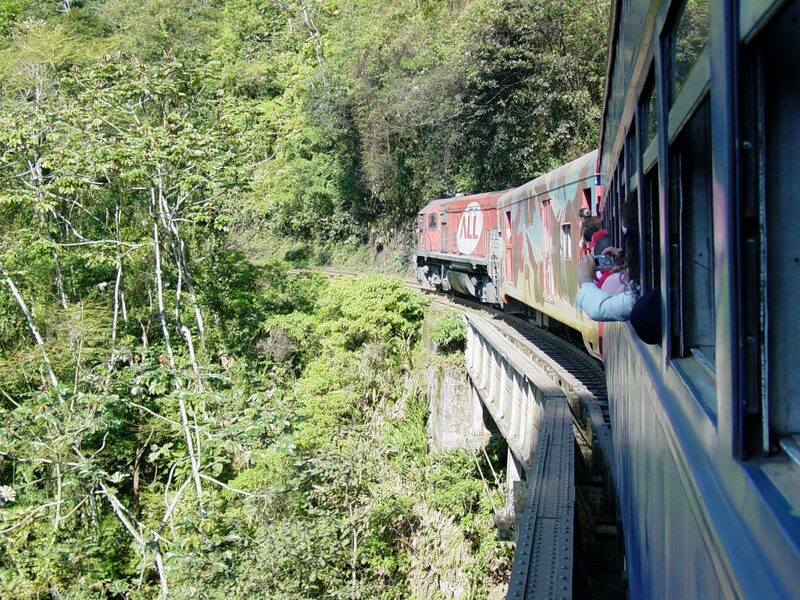 Tip: The Tren Crucero is a great way to incorporate the Devil’s Nose into a longer itinerary in Ecuador. It’s a 4-day luxury rail journey between Quito and Guayaquil, stopping along the way at sights like Otavalo Market, Riobamba, and the ‘Avenue of Volcanoes’. Technically, this train doesn’t actually go all the way to Machu Picchu, but terminates in Aguas Calientes, which is just a short bus ride from the entrance to the sight. 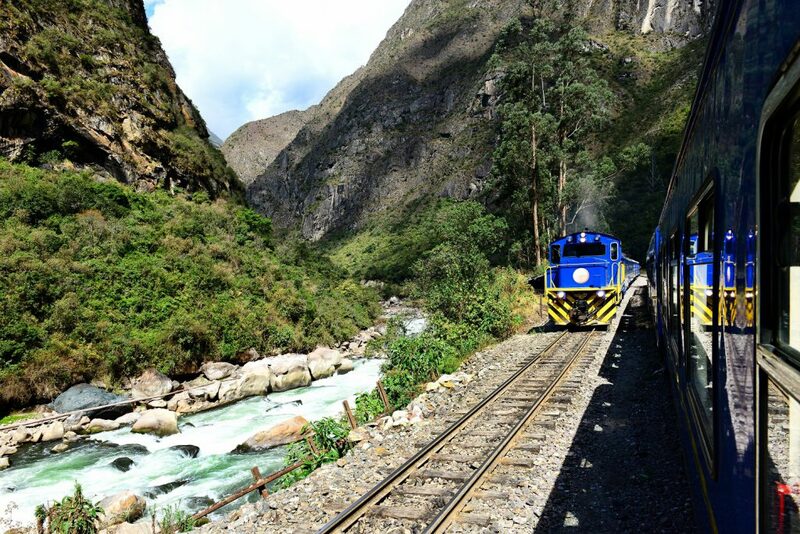 There are a number of trains to choose from, including Peru Rail’s Expedition and Vistadome trains, which are both friendly on the wallet, and link Aguas Calientes with Ollantaytambo in the Sacred Valley, and Poroy Station in Cusco. The luxury Belmond Hiram Bingham train takes the same route and is a beautiful affair, but it’s definitely not for those travelling on a budget! Tip: It’s a little-known fact that you can actually mix and match your trains on this route. So you can travel there on the cheap and cheerful Expedition Train, and then opt for the luxury Hiram Bingham on the way back when you’ll probably be exhausted and in need of a comfy seat and some pampering! Get off the beaten track with this Brazilian trail ride! Considering the size of the country, train travel in Brazil just isn’t very practical, so rail journeys here are purely for pleasure rather than necessity. The Serra Verde is probably the best one, starting from the urban hub of Curitiba and winding through the beautiful Paraná rainforests down to the colourful port of Paranaguá. The journey is quite hair-raising at times, as the train slowly descends cliffs and mountains. The best views are from the left side of the carriage on the outbound ride and the ride on the way back. Tip: The train departs Curitiba just after 8am, and arrives in the colonial town of Morretes at around midday. It’s possible to get off here and spend the afternoon exploring before catching the train on its return journey if you don’t want to go all the way to Paranaguá. 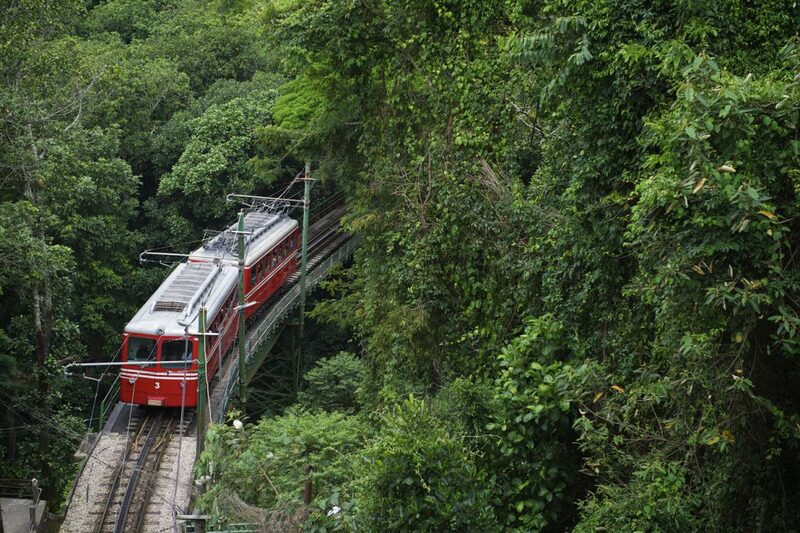 Our favourite jungle train in Rio! Of course there are plenty more where that came from, including a wine train in Chile’s Colchagua Valley, and the short but sweet funicular through Rio’s Tijuca Forest to Christ the Redeemer, to name but a few! For more information on alternative transport options and other train journeys in South America, contact one of our travel experts.